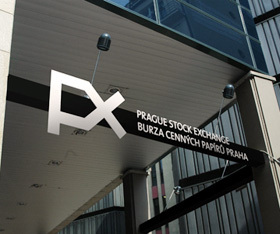 The PX index at the Prague Stock Exchange grew by 2.68 percent and now comes at almost 1,017.29 points, which is the highest rate since March this year. The significant growth is based on the results on the elections of the lower house of parliament which lowered the risk of a rise of corporate tax income, according to Josef Nemy at Komercni banka, which was among the enterprises with the highest profits seen today. The Social Democrats (CSSD) had planned to enact a 25 to 30 percent rate on companies in the energy industry, telecommunication industry and banking sector. Listed companies in these sectors were the most profitable in today’s trade. According to Vladimir Pikora at Next Finance it will not be easy that a new government is formed on the basis of the outcome of the elections. By this, pre-elections incentives will not be fulfilled, Piktora stated. "In other words, financial markets sighed with relief that policymakers will not be able to take steps they would like to," he said. After the parliamentary elections last weekend, the Czech political landscape has changed fundamentally. Although the social democrats (CSSD) won 20.5% of the votes, the result is substantially below the expectations. Party leader Bohuslav Sobotka hoped to exceed 30% of the votes. Sobotka admitted that CSSD has achieved a “bitter victory”. CSSD is followed by the new protest party ANO (movement of dissatisfied citizens), which reached 18.7% of the votes. ANO is led by the Czech billionaire Andrej Babis. Unlike the other opposition parties, ANO was able to absorb the rejection of the former conservative government and the general political frustration in the Czech Republic.